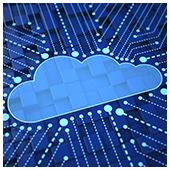 Cloud services come in various shapes and sizes, many of which are standalones that can contribute to rising costs. Opt for a service provider that offers a suite of products that all work together. They are often less expensive than a group of standalone products. Another benefit of working with a provider is that you receive a single point of contact to resolve your issues quickly and effectively. If you have to integrate a standalone Cloud service into your system, make sure you hire an experienced integration consultant for the job since they will be able to finish the job quicker, thus making it cheaper. Integration mishaps can cause serious downtime which drains a lot of money. How many versions of this data do you need to store for the long-term? The more versions you store, the more it costs. What regulatory demands do you need to meet? Some data may need to be accessible for up to three years, whereas other data can be deleted after 30 days. How quickly do you need to access your backup? If you can wait for a day or two, archive that data to a less expensive service or offline at your provider’s data center. Many Cloud service providers charge by the number of users in your system. By neglecting to manage the list of users, you could end up paying for people who no longer work for you. Implement processes that remove users when they are terminated and consider scheduling a regular audit. Ideally, this should be once every six months to a year, to ensure that your Cloud user list is up-to-date. Ask your Cloud provider whether they can proactively monitor your account to notify you of potential issues before they cause problems. This is especially important if you have a pay-as-you-go license that charges based on resource and storage usage. Utilizing the right technology resources is vital to your business’s success, and so is knowing how to prevent them from racking up a staggering monthly bill. If you wish to enjoy all the benefits Cloud computing can provide your business without breaking the bank, give us a call and we’ll be happy to help.